One of the most popular Port Douglas attractions is celebrating the birth of a baby Lumholtz's tree-kangaroo and to commemorate the occasion, they're giving the public the opportunity to name the rare cutie. 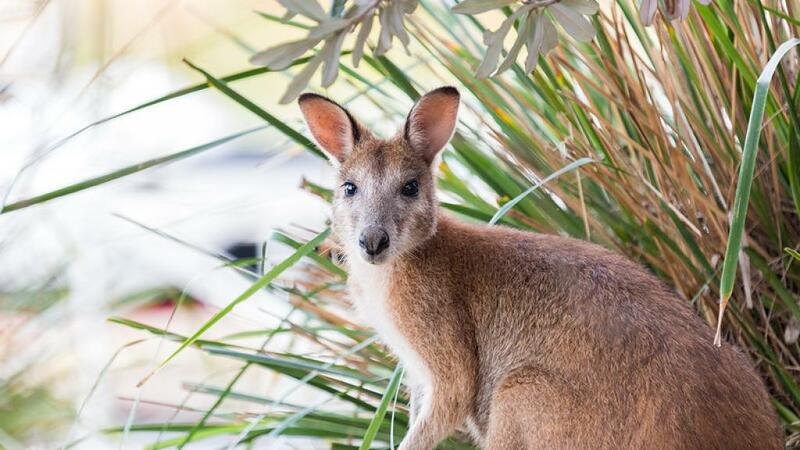 The latest addition to the Wildlife Habitat at Port Douglas, the joey was born in September of 2015 and has only recently emerged from the pouch. Born to father Quinton and wild-born rescued mother Ruby, the baby Lumholtz's tree-kangaroo is brave, inquisitive and beginning to explore her enclosure, climbing branches under the watchful eye of mum. All reports say that mum Ruby is taking to motherhood well, thanks to her time spent in the wild. Her motherly instincts have kicked in and she is confident and relaxed with her motherly duties, guiding her cheeky joey back to the pouch when need be. Port Douglas Wildllife Habitat is one of only two zoos to display the tree kangaroos and will be running a competition to name the joey, with details to be announced shortly. One of only two wildlife parks in the world to display Lumholtz's Tree Kangaroos, Wildlife Habitat has successfully bred the species twice before, first in November of 2006 and again in June of 2008. The recent birth of this new joey brings the total to three Lumholtz's Tree Kangaroos successfully bred by Wildlife Habitat. The park is also home to Queensland's most diverse range of macropod species including kangaroos and their relatives. One of the most popular attractions in Port Douglas, Wildlife Habitat showcases the Lumholtz's tree-kangaroos alongside other cuddly (and not so cuddly!) 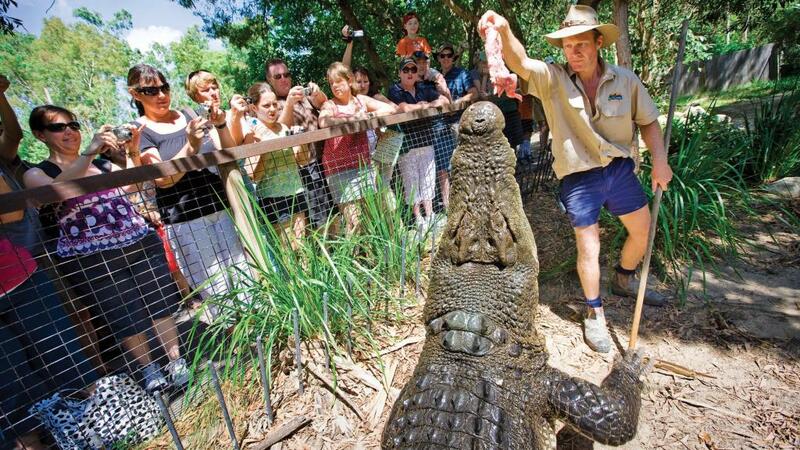 critters including koalas, native birds, pythons and crocodiles. The park offers free tours as part of your entry pass and allows visitors to immerse themselves in the natural habitats. Rated by TripAdvisor as the #1 zoo in North Queensland, Wildlife Habitat is a must-do attraction on any visit to Port Douglas. Opened to the public in 1989, the attraction is committed to the conservation of animals, while providing a fun yet educational environment for all visitors.